Here at ABC Fire, we are constantly striving to provide you with the tools and resources that your company needs to ensure a safe and alert workplace. Our employee safety training programs are designed to provide your staff with the necessary knowledge and experience they need to respond confidently and safely in the case of a fire emergency. No matter the size of your company, a properly trained staff can be the difference between a near miss and much more devastating event. 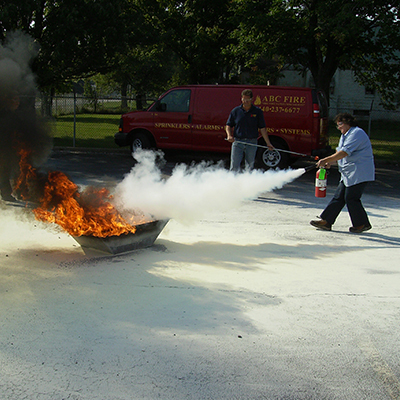 Sign up for your Extinguisher and Safety Training today!